GIFT Intergenerational Events Generations In Faith Together (GIFT) events are special monthly gatherings with Bible lessons, activities and discussions for all ages and a shared meal. We offer a variety of themes and topics. All GIFT events are free. We ask that you RSVP ahead of time for meal planning purposes. To find out about our upcoming GIFT gatherings, see our events page or subscribe to our weekly Friday E-News. 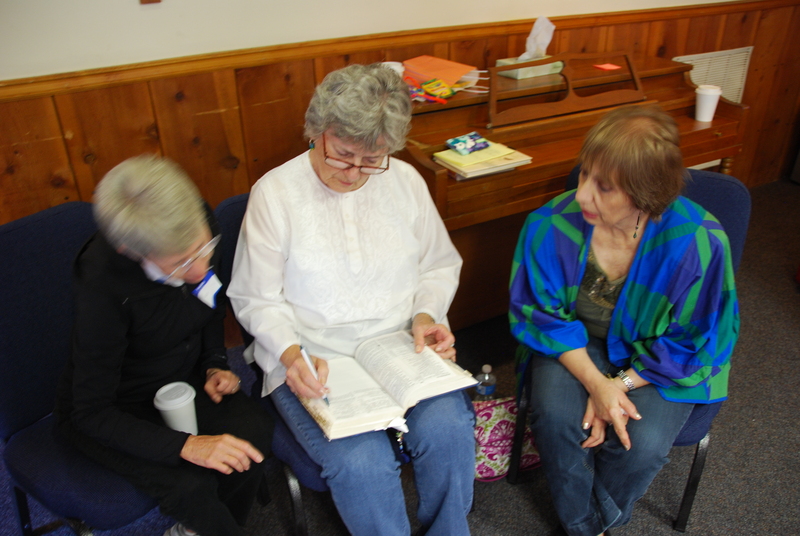 The Women’s Bible Study Group meets from 9:30 – 11:30 a.m. on the second and fourth Mondays of each month September through May. We will be using Charles Stanley’s 30 Life Principles to Live By in our study this year. The women of the group enjoy time together for study, fellowship, prayer, mission outreach activities, as well as field trips. Please contact Miriam Miller at jtmillerj@verizon.net for more details. Bible Basics, a bible study designed for everyone from biblical scholars to first-time readers and led by Pastor Scott, meets Wednesdays at 11 a.m. in the Committee Room. Everyone is invited and encouraged to attend. Come every week or drop in when your schedule allows. Please contact Pastor Scott at pastor.hoffman@cmpcusa.org for more details. The Wednesday Evening group meets the second and fourth Wednesdays of each month for fellowship and to study the Gospel of John. We gather in a member’s home from 7:00 to 8:30 p.m. Please contact Annette Hinkle at amhinkle@comcast.net for more details. 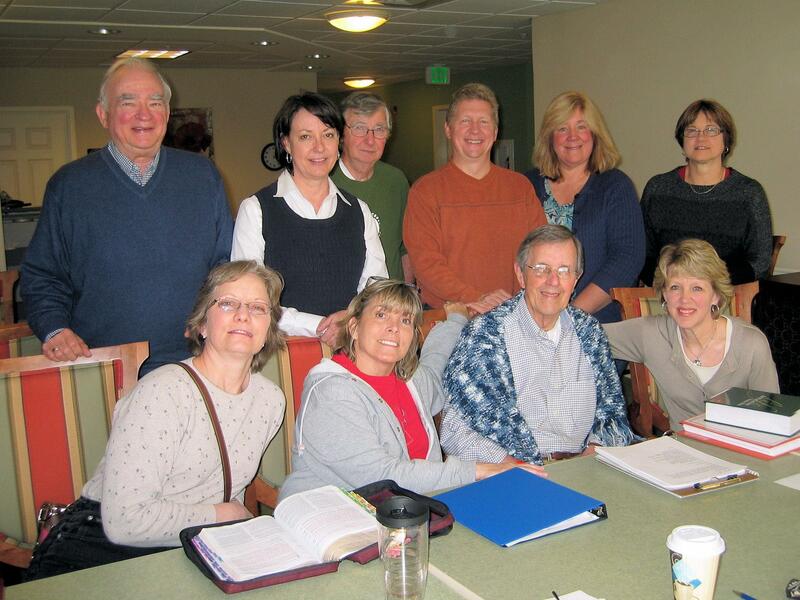 To further facilitate growth in our faith as disciples of Jesus Christ, the Christian Education Committee of CMPC has created adult small groups for Bible study. Spring groups meet monthly between January and early June (for a total of six meetings), and fall groups meet August to December. The various groups will be scheduled to meet at different days and times so there will be an opportunity to be in a group that fits your schedule. The same course materials (likely some kind of video and discussion questions) will be used by each group and the groups will come together for large group gatherings a few times during the course of the study. Theology on Tap is a regular gathering of CMPC men who fellowship and discuss their faith over cold brewed beverages. Theology on Tap is a casual affair, so come whether this is your first time or your fourth! 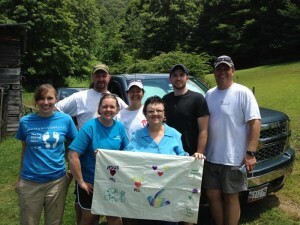 This group meets the second Tuesday of the month at 7:30 p.m. at The Turn House.